SK VALVES was established in Kaohsiung, Taiwan since 1966, specialized in casting at initial stage. In 1974, we started to manufacture the products of gate valves, hydrants and fittings supplied to Taiwan Water Co. for public infrastructure use. 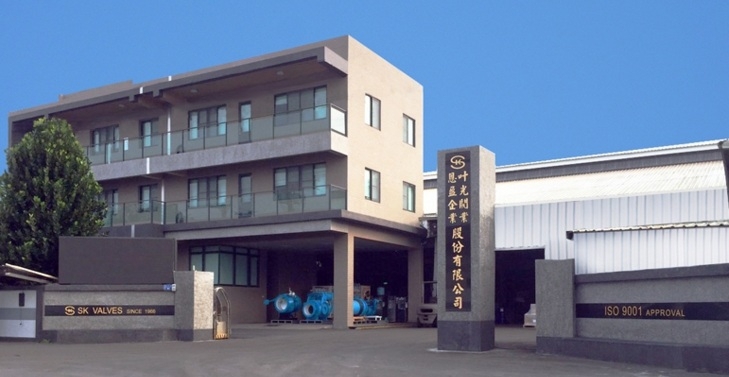 In 1991, SK VALVES expanded a new manufacture plant in Pingtung, Taiwan, in an area of 20,000 square meters. By this leverage, the outputs were highly promoted, and we also fully devoted to focus on the research and developments of high-end product to ensure the outcome were conformed to various requirements from customers. We gained the quality certificate of ISO 9001 in 1998 that is the milestone for us to transform the SK VALVES into diversification, customization and made our products been adapted by overseas customers, furthermore driven us into the globalization marketplace. Our company currently owns the most complete manufacturing procedure and capability in Taiwan. The procedures cover from R&D, casting, machining, epoxy coating, assembling, testing...etc. Especially, we invested many kinds of the test equipment for quality guarantee, and there are the largest dynamic hydraulic pressure test equipment (pump head: 100M, capacity: 4.63 m3/s) and the largest static hydraulic pressure test equipment (the test pressure: up to 20kgf / cm², the nominal size: up to DN3200m/m) that we built in Taiwan. We are aiming to reach the goal of excellent quality, good efficiency, customized service, technology innovative and function integrated. We continuously stick to upgrade the quality and various functions of valve. Moreover we respect customers' feedback and willing to work together in pursuit of a win-win solution that not only retain prosperity in business but also bring a friendly living environment. At present, SK VALVES has owned more than 50 years’ experience of valve manufacturing and numerous series of products. Meanwhile, we‘ve continually dedicated to develop Hi-Tech skills by cooperating with overseas well-known companies and domestic academic institution. Besides we're also a main agency of sorts of relative products and tools for pipeline system maintaining and installation. We do believe our R&D team globally integrated with information and sources can provide“the best solution”on your pipeline system required. Your contact us will be highly appreciated and we are confidence to offer you not only good Quality, Efficiency and Service, but also Technology included.